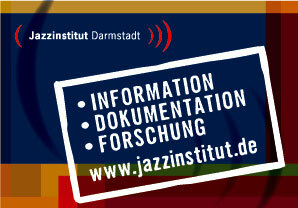 Each Darmstadt Jazzforum has been documented in our book edition “Darmstädter Beiträge zur Jazzforschung” (“Darmstadt Contributions to Jazz Research”), a series of thirteen volumes up-to-now which focuses on jazz scholarship and documentation. Issues #1-12 have been published in German language at Wolke-Verlag. Beginning with issue #13 (2014 “jazz debates”, also Wolke) all lectures are quoted in the language they were held during the conference. 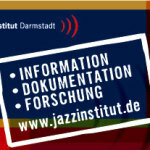 The Jazzinstitut is substantially involved in many other publications, and lately we established “Deutsche Jazzfotografen” (“German jazz photographers”) as an own book series. Our “Wegweiser Jazz” (till 2010 published in print) is nowadays an online contact database covering the international jazz scenes, containing information about active musicians as well as venues, festivals, journalists, researchers, record labels and much more. “Wegweiser Jazz” contains contact details, URLs as well as a descriptive text about the institutions or individuals listed.